Highland County is famous for it's ridge top meadows and this is an example of them. Painted in 2008 at Bear Mountain at my friends home in early Spring. 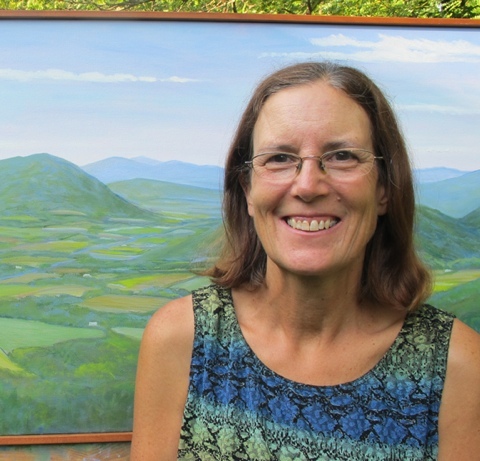 This painting was done in the studio while the snow was blowing. It made me feel like Spring will be here soon, and now it is. 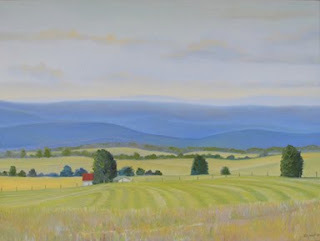 It is also from over in the Shenandoah Valley, but farther north. This weekend Andrew and Audrey came and bought their painting, thank you! 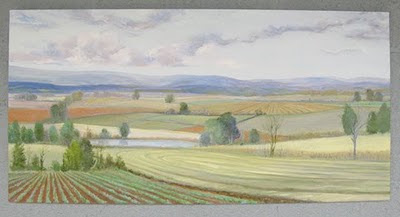 It was a studio painting from a study over in the Shenandoah Valley. My husband and I drove over there last Fall and enjoyed pulling over along the way for photographs. We travel the back roads with lunch in tow. 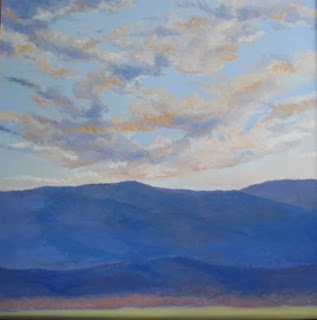 This was painted late fall 2009 from a photo across the mountain from my house, in the Shenandoah Valley. The red roof has a nice pop to the soft colors around it. 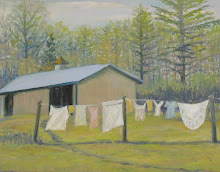 The hay that is laying down was fun to paint too. It is hanging in my dining room. 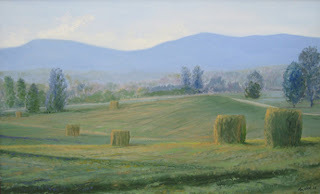 This is from a photo in Crozet from last year's hay harvest. 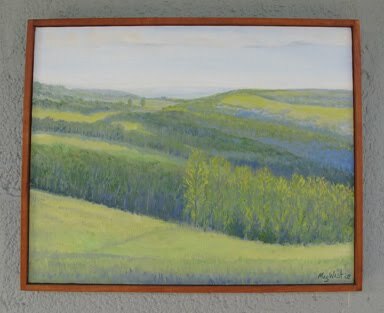 This is a wonderful size, great for landscape painters, fun to paint and can go over mantles or anywhere. 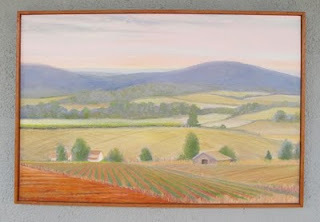 All paintings come framed with Virginia grown cherry strip frames, unless indicated differently. 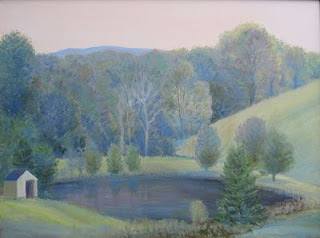 This is available at my home in Crozet.